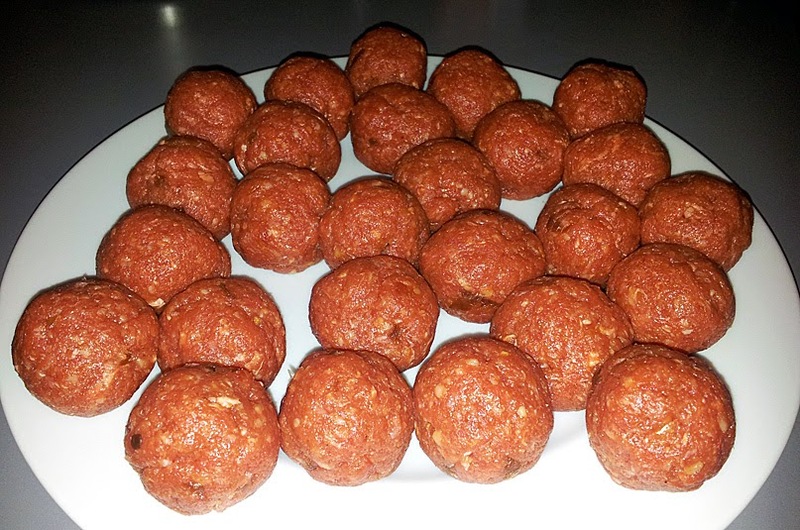 These aren’t extremely spicy (altough you can add more spice to your liking, of course), but they’re really nice and can serve as a standalone snack or a part of your dinner. 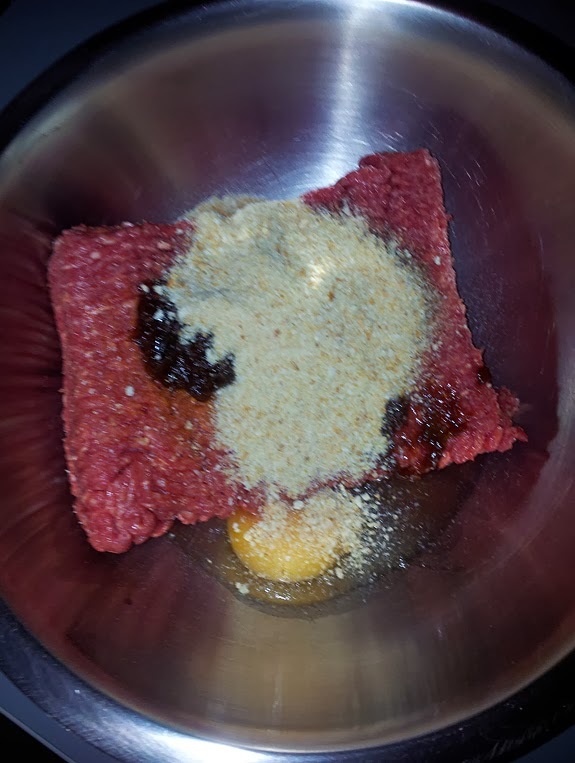 Now, melt 100 grams of butter and about 3 tablespoons of oil in a pan and bake the meatballs in that untill they’re evenly browned. The large amount of butter makes sure they color nicely and they don’t stick to the bottom of the pan. When the meatballs are nice and brown, add a small amount of port (or wine, or water) to the pan and let them simmer a bit longer with the lid on the pan. 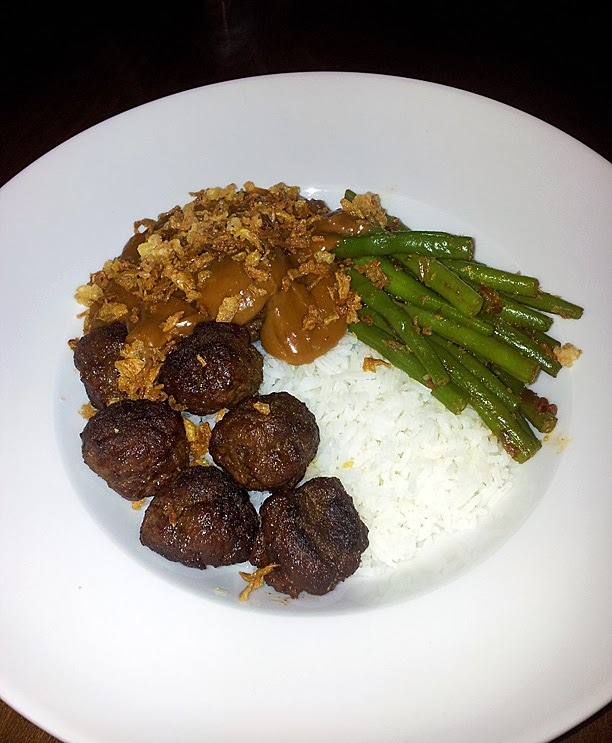 I had them with white rice, green beans (baked with sambal and coconut), satay sauce and fried onions.